Prebuilt vs. Custom PC – Which Should You Choose? Ah, the perennial question of whether buying a prebuilt PC or building a custom PC yourself is better. Many a person has racked their brains trying to balance the pros and cons of each ever since consumer PCs reached mass appeal. The question remains, which one should you choose? As with most things, it all comes down to the individual requirements and expectations of the buyer. We hope to provide some insight into a few factors that should help make an informed decision free of regret. Without further ado, let’s get into the meat of the matter. Perhaps the most persuasive argument in favor of opting for a custom PC is cost, more precisely the cost-value ratio that swings in its favor. 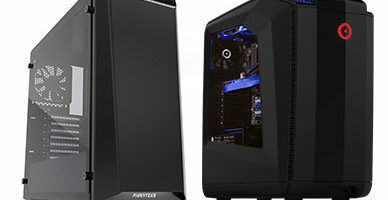 Prebuilt PC manufacturers are in business to turn over a profit, and consequently, they slap a considerable markup on all their builds veiled under extra costs like labor and testing. In essence, components aren’t priced individually then summed together to get to an overall price as you would with a DIY build. 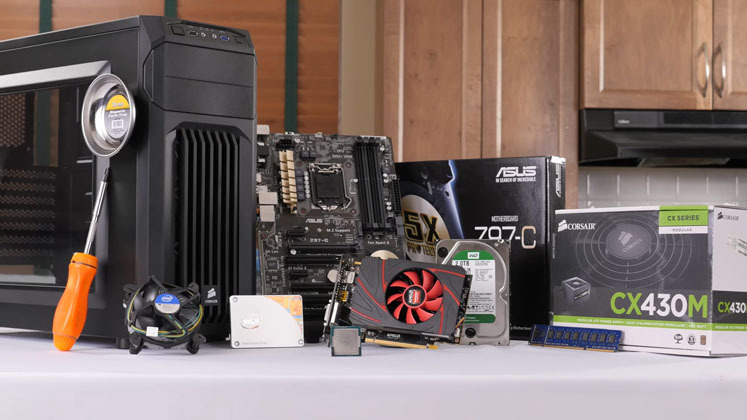 In terms of cost, a prebuilt isn’t the sum of its parts, but generally significantly more. If we take a DIY custom built PC and a prebuilt with precisely the same specifications and hardware, the custom PC invariably works out cheaper. The reason behind this is that buying components individually at opportune times (say during a sale like Black Friday, or when a vendor is offering serious discounts to liquidate stock) works out cheaper and often means you can pick up better parts for the same overall price. You can also be a lot savvier when buying components for a build yourself. Prices regularly fluctuate based on market trends (think of the cost of GPUs going down since the whole Bitcoin mining craze lost steam), stock levels, and the release of newer models (RTX replacing Nvidia’s line of GTX GPUs for example). 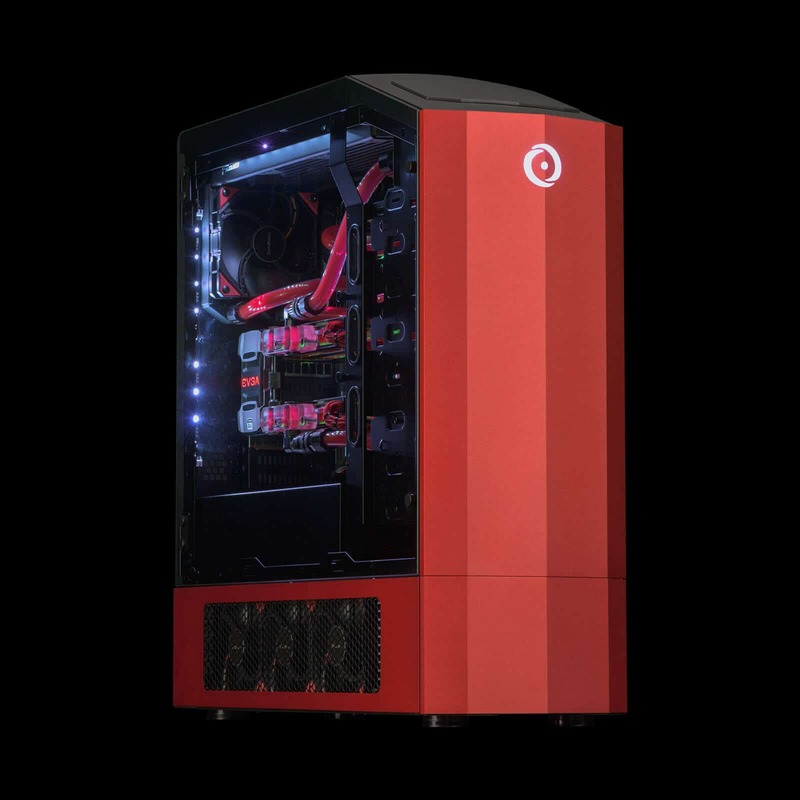 The result is that if we were to spend the same amount of money on a prebuilt PC and a custom PC, the custom’s components would be markedly better, banking you on average more bang for your buck, and that’s even if we factor in extras like a copy of Windows packaged with the prebuilt PC. The difference could be in the order of getting a GTX 1080 Ti instead of a GTX 1060 or picking up 32GB of RAM rather than 16GB. The bottom line is that the price to performance ratio of building a PC yourself is wildly better and prebuilt PC companies tend to skimp on specific components to ensure a healthy profit on each sale. There is, however, one caveat to all this. Prebuilt PC companies often have contractual deals with hardware manufacturers that entitle them to discounts when bulk buying. In most cases, they’ll mark up the build so much that the savings aren’t passed on to the consumer, but in scenarios such as the aforementioned mining craze, it worked out cheaper to buy a bundled prebuilt PC during a sale than to part with exorbitant sums for an individual GPU then building a PC around it. Such occasions are rare, and as a rule of thumb, the price to performance pendulum swings in favor of a DIY build nine times out of ten. The clue is the name: prebuilt. Place your order, receive the PC within a few days, unpackage, plug in the power lead, hook up to a monitor, insert the peripherals, hit the ”on” button, and you’re off. The PC works out of the box with Windows preinstalled. 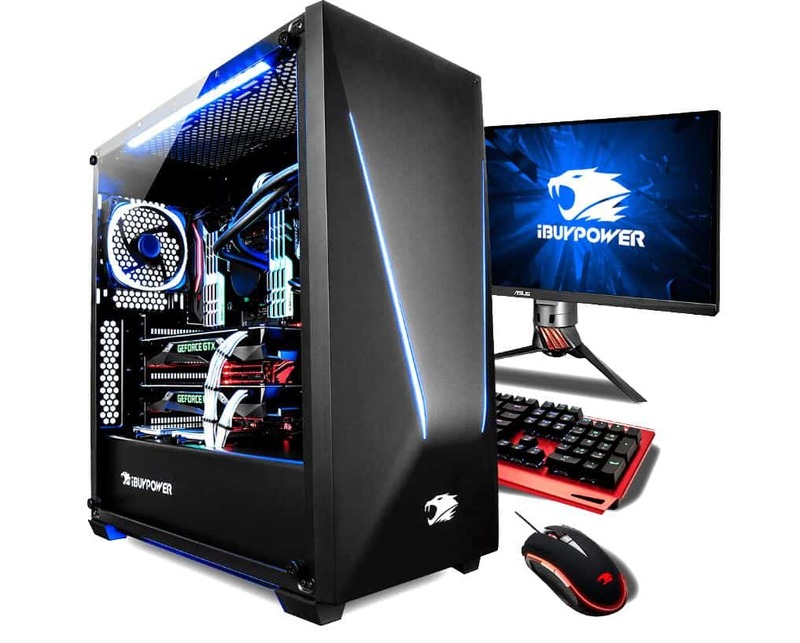 Prebuilt PCs save considerable time in comparison to custom PCs that can take months to complete from waiting for component prices to drop to physically building the PC by way of installing Windows and troubleshooting any issues. Building a PC yourself is a project rather than an out of the box solution with all the inconvenience this entails. If you’re eager to get gaming as soon as possible, prebuilt is hands down the most viable avenue to save time. The prebuilt path also has the benefit of avoiding any compatibility issues: the distributor has done all the hard work and made sure all the hardware works well in unison. You’re guaranteed to receive a well-oiled machine that works from the outset. Although prebuilt PC companies are increasingly looking to offer customization options to buyers, the truth of the matter is that these attempts pale in comparison to the customization freedom provided by taking on a build yourself. Yes, you’ll usually have the option to tinker with the amount of RAM, possibly even upgrade to a better CPU and GPU, but beyond that, the possibilities are thin, if not to say superficial. The phenomenon is even more pronounced for low-cost prebuilt PCs, or when on a strict budget: customization invariably costs more money, and it isn’t always ideal to have a semi-decent GPU paired with a subpar CPU or vice-versa, especially when gaming. With a DIY custom built PC, you can buy exactly the components you want to suit your needs, and that means choosing the specifications down to the type of motherboard, the case, cooling configuration, LED lighting strips, and so on. You have at your fingertips an abundance of options to choose from including different brands, models, specifications, and aesthetics. Striking a balance between budget and performance is much easier when you are in control of what goes inside the machine. Furthermore, building a PC affords some leniency in future-proofing your PC. Spend a little more on a better GPU and motherboard by choosing a slightly worse PSU or a low RAM count, which you can upgrade in a few months when you’ve saved up enough cash. The only real downside to customization is that it entails a degree of pre-planning and research. Not all components innately work together, and emphasis must be placed on compatibility. Simple things like trying to fit an AMD processor in an Intel-ready motherboard is an obvious mistake to make, but may not be on a first timer’s radar. 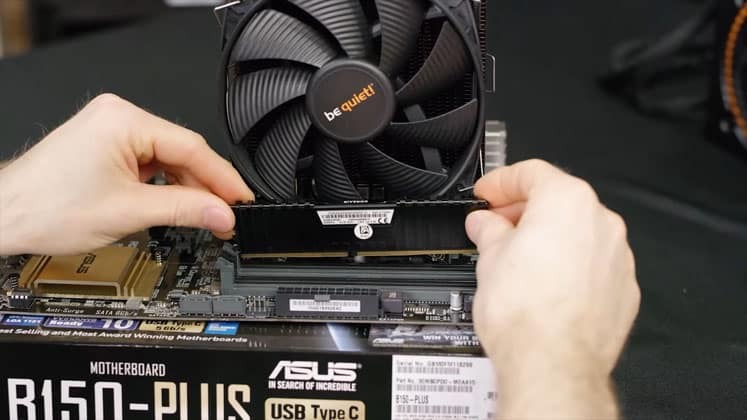 Prebuilt PCs, although limited in the breadth of customization options, are a way to avoid common pitfalls and having to put in the hours to ensure a DIY build functions as intended when turned on for the first time. 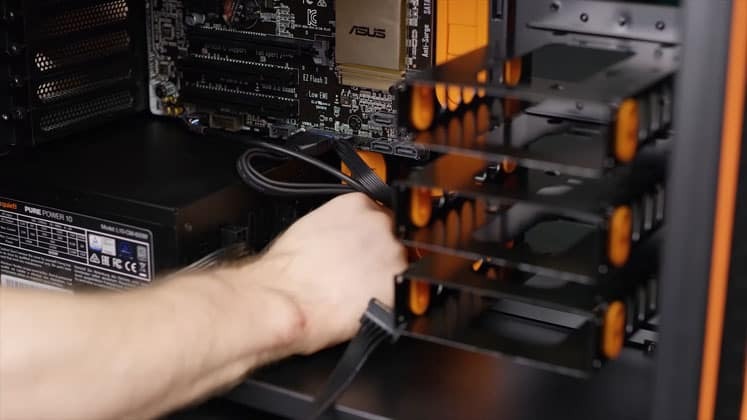 Building a custom PC is very much a plunge into the unknown. There’s no central authority to refer to when problems arise, and fixing issues is very much down to the builder. The freedom, or isolation, depending on how you see it, is a double-edged sword. In a sense, being in charge of your PC building destiny is empowering, and the internet is a remarkable source of help thanks to countless enthusiast websites, forums, and of course, Reddit. Equally, being thrown in at the deep end without any official, sanctioned advice isn’t for everyone and championing your own troubleshooting and diagnosing problems can be a frustrating task. Additionally, there’s always the risk of making an expensive mistake when building a PC yourself, which buying a prebuilt PC circumnavigates. 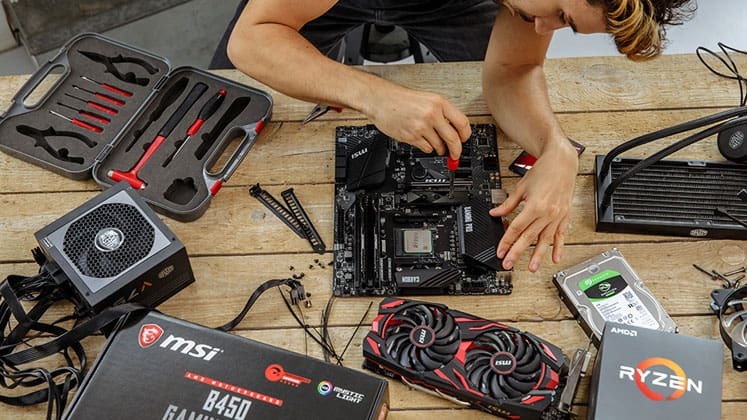 If the inherent fuss of DIY is likely to cause problems, then the peace of mind afforded by a prebuilt PC is invaluable, particularly when it comes to repairs and customer support. 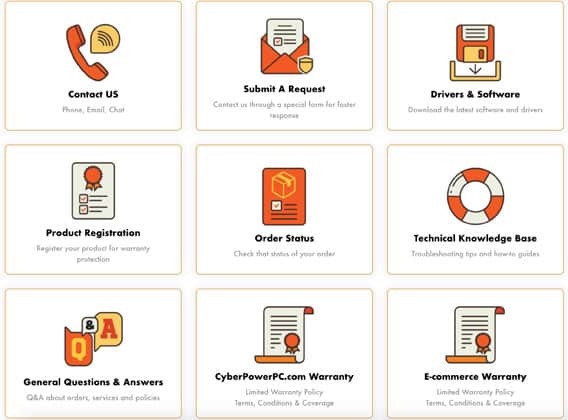 Encounter a hardware issue, and it’s as simple as contacting the vendor, shipping the PC back to them, then receiving it back spick and span ready for action. Conversely, doing so does mean not having the machine for upwards of a week, which can be an inconvenience for power users. Warranty is an interesting point to consider especially in light of the section above. 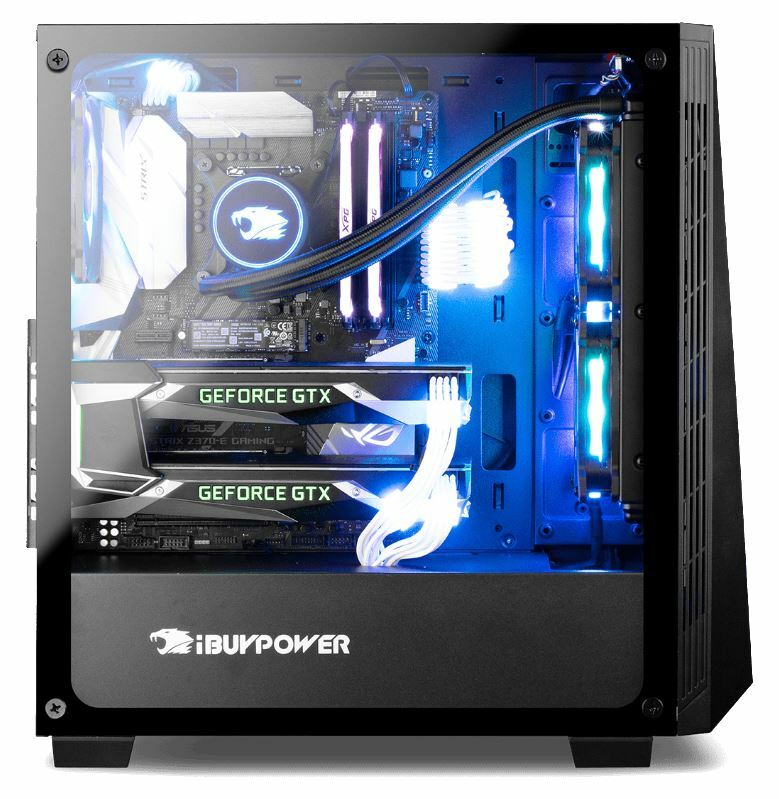 Prebuilt PCs ship with an overall warranty that covers the entire machine, or in other words parts and labor, while for DIY builds warranties come down to specific components. On the surface, an all encapsulating warranty appears to offer the better deal, but there’s a catch in that individual hardware warranties tend to last longer than prebuilt warranties. Although prebuilt systems are available with extendable warranty options (which aren’t cheap), the standard timeline for coverage is anywhere between one and two years. For example, Origin PC and HP Omen have a base warranty of one year. Individual component manufacturers on the other hand typically offer three-year warranties as standard. Nvidia provides three years for its GPUs, AMD grants the same for all its processors, while PSU manufacturers like EVGA offer up to ten-year warranties. The difference in warranty length is staggering, and it’s a no brainer that going DIY is the sounder of the two options when it comes to potential hardware issues. The only real downside is having to contact manufacturers individually, but this minor hindrance is worth the extended period of coverage. Prebuilt PC’s often come bundled with an array of peripherals or at the very least a keyboard and mouse. The issue is that these peripherals are often low-quality products that are shipped as part of a prebuilt package for the very fact that they are cheap to manufacture. Any savings made on not having to fork out extra cash for a mouse and keyboard as you would in a DIY build is in effect completely negated: chances are you’ll end up buying worthy replacements before too long and struggle to flog the middling dross to unsuspecting buyers on eBay. From a financial point of view, there’s no debate because custom builds cost less overall than a prebuilt, with these savings extending to peripherals as well. With all the pragmatic reasons for choosing a prebuilt PC or a custom PC aside, we now come to the all-important point of satisfaction. There’s value in finding a prebuilt PC with the right specifications, inserting your credit card number, and receiving your chosen model a mere couple of days later. The process is convenient, easy even, but nothing quite beats the sense of satisfaction of building a PC yourself from scratch. It takes time; it can be frustrating, but among those hours trawling through forums trying to find the best component for your needs is invaluable enjoyment to be had. From the moment of conception to buying the first part of the puzzle, then hitting the ”on” button for the first time and hearing the reassuring whirl of winnowing fans; there’s a profound sense of satisfaction that comes from seeing a project to fruition. You’ll find gratification in reaping the rewards of a PC that suits you down to the ground built with your own two hands. Workstation vs Gaming PC - Which Should I Choose?